An information site about yoga retreats! Reviews, listings, tips and deals! Change your life with the magic of yoga retreats! Yoga retreats can be an amazing experiences. However, there are so many choices these days it's hard to know which direction to go in. Are you weirded out by the smell of incense, chanting and the spritual side of yoga like I was the first time I went to a retreat? Or are you fully immersed into all eight limbs of yoga and are looking for something spiritually deep? Well don't worry we've done the work for you. We've searched through hundreds of yoga holidays, dug down into the details, checked alot of them out ourselves (it's a tough job but someone has to do it! hahaha) and given you all the information in a nice and easy to navigate platform. 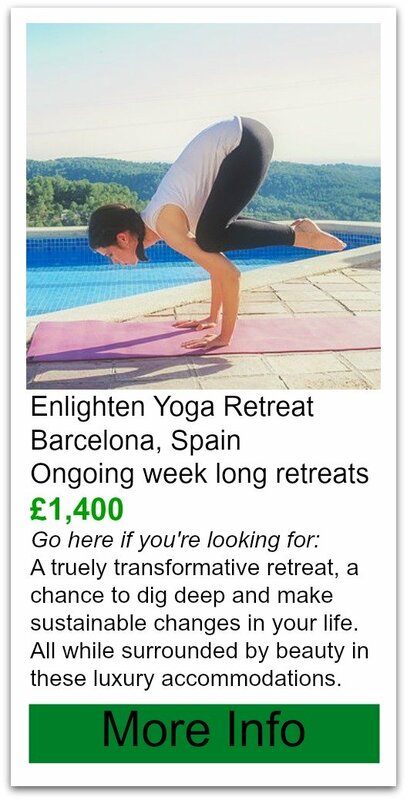 There is literally a yoga vacation to suit absolutely anyone, even those that don't practice yoga... yet! We have a few highly recommended retreats for you and you will see a few that are not so highly recommended too. We keep all the information unbiased and objective. If we find something we love, we're going to tell you about it! If we find something we don't love we're going to tell you about that too. Being honest and transparent, is extremely important to us. We do not work for any retreat companies, and are entirely independent from them. If we recommend a retreat it's simply because we think it's awesome. Sometimes we are lucky enough to be offered deals and discounts on yoga vacations and we pass this on to you, our reader. 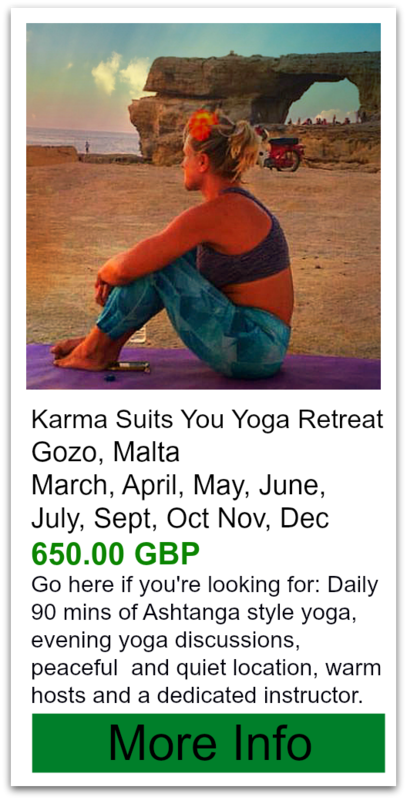 So make sure you sign up for our newsletter as these offers only go out via email:) Many of these offers are exclusive to youryogaretreat.com and you won't see them anywhere else. If you, yourself have done alot of retreats and don't work for a yoga retreat company we'd love to chat with you, so drop us an email. We are looking for professional and fun ambassadors to join our team. If you love taking photos and videos, writing reviews and travelling and doing yoga, you might be a perfect fit. We focus on quality instead of quantity. 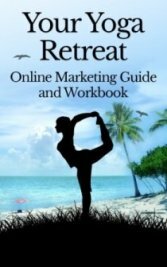 Instead of listing every single retreat available, like many of the yoga retreats sites out there, we only list ones we think you'll love and give you the info to avoid the not do good ones. If you attend one of the retreats listed on our site and don't have a fabulous time, we need to hear about that, so please let us know.